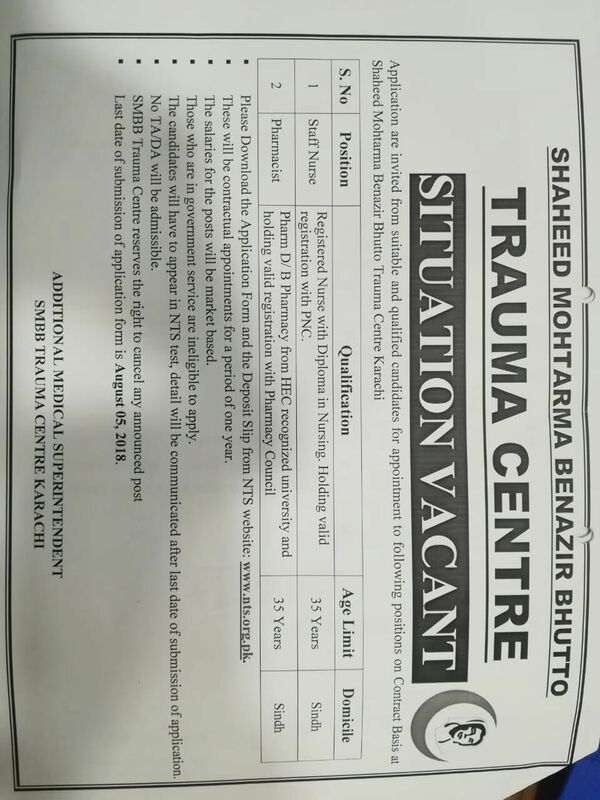 The S.M.B.B Trauma Centre offers different emergency and elective specialist Operating services in its modern and well equipped Operation Theatres. With the goals of ensuring patient safety and the highest quality of care, the Operating Theatre (OT) in hospital was established from the beginning of the hospital establishment. It maintains strict aseptic technique to prevent the surgical patient from infection and offers the best multidisciplinary teamwork with the help of a dedicated and trained staff. It accommodates and provides environment for various types of surgeries. It has 15 functional operating theatres at the moment on two different floors, with an average Annual workload of 6,000 procedures including Emergency & Elective procedures for Orthopedics, Vascular surgery, Neuro Surgery, Oral Maxillofacial Surgery. Emergency services for trauma, general surgery and other specialties are provided 24-hours each day. The ophthalmology Operation Theaters are located on Ophthalmology Floor and comprises of 5 Operating dedicated rooms for different eye surgeries only. Almost 3500 ophthalmology procedures were performed last year. We have recently started our Cardiac Surgery services also, and for that 4 bedded Cardiac ICU is designed on the same Floor. •	Maximize the efficiency of operating room utilization, staff, time and materials. •	Enhance satisfaction among patients, staff, and surgical teams.